"Being in exile ... has opened up the world to him." "I pray for Tibet every day. But, also, I pray for China. I'm optimistic. Of course, I've been optimistic for 37 years now!" (CNN) -- During a visit with the Dalai Lama in Dharamsala, India, photographer David Turnley filmed an exchange between the Tibetan Buddhist leader and a nun that appears in the CNN production, "The Dalai Lama: At Home in Exile." The nun, wearing the crimson robe emblematic of Tibetan Buddhists, is very old and very feeble and is assisted to the low platform where the Dalai Lama is sitting cross-legged. Kneeling, head bent, she holds out prayer beads for him to bless. 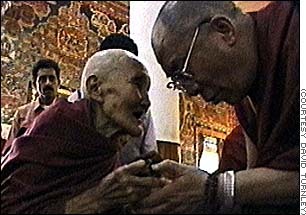 The Dalai Lama blows on the beads, then pinches her lightly on the cheek and teases her about gaining weight. The nun leans closer and their heads touch. The Dalai Lama takes her hand in his. "They say that at the moment you die, the pain is especially bad," she says. "What shall I do?" "No, no, do not talk like that," says the Dalai Lama, rubbing her palm in a circular motion. "When it comes, keep your mind clear. Keep your mind pure. There will not be any problems at all." "Yes, yes, I understand," she says. "Thank you." "Good, good," he says, still rubbing her hand. "Don't worry. I will pray for you." She presses her forehead to his hand, and aides carry her away. Dharamsala has been the Dalai Lama's home since 1959 when, in the midst of a Tibetan uprising against Chinese occupation forces, the 24-year-old Dalai Lama disguised himself as a soldier and fled to India. 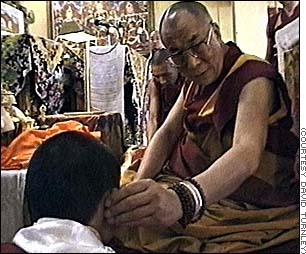 The Dalai Lama occasionally gives public teachings, open to all who are committed to Buddhism. Click through the scenes. In the following 18 months, nearly 90,000 Tibetans died. In the years since, human rights groups say Tibet's unique culture and its people have been systematically persecuted. Russian novelist and historian Alexander Solzhenitsyn described China's rule in Tibet as "more brutal and inhuman than any other communist regime in the world." 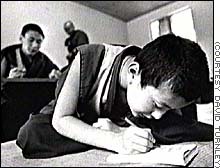 The Tibetan government-in-exile estimates that at least 1 million Tibetans have died under Chinese rule. The government-in-exile also says at least 80,000 refugees have fled the country and that more than 6,000 temples and religious sites have been destroyed. When informed that the Dalai Lama, the spiritual and temporal leader of Tibet, had escaped, Chinese leader Mao Tse-tung said, "In that case, we have lost the battle." Indeed, the Dalai Lama himself says the Chinese have helped focus international attention on the plight of his stark, mountainous country and made him an international figure. "Really," he told Asiaweek in 1996, "if the Chinese had treated the Tibetans like real brothers, then the Dalai Lama might not be so popular. All the credit goes to the Chinese." "Being in exile has made him a completely different person," says Tenzin Tethong, chairman of the Committee of 100 for Tibet and visiting lecturer at Stanford University. Tethong was the Dalai Lama's representative in North America for many years and foreign minister for the Tibetan government-in-exile. "He has said himself that if there had been no problems he might have been conservative, isolated and limited in his understanding of many things," Tethong says. "He comes from an environment that was not that open. Being in exile has in some sense opened up the world to him." There are more than 100,000 Tibetan émigrés in Dharamsala, India. The city began as a waystation but has become a permanent refuge. Click through the scenes. 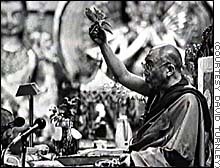 In the past 40 years, the Dalai Lama has evolved from leader of an arcane religion in a remote Asian kingdom to a respected figure on the world stage. He has written or, more often, had his name attached to some 40 books. He has traveled widely, meeting with two popes and hundreds of political and religious leaders. In 1989 he was awarded the Nobel Peace Prize for his dedication to the nonviolent liberation of Tibet. He has also associated with such celebrities as actors Richard Gere and Harrison Ford, composers Marvin Hamlisch and Philip Glass and former Beastie Boy musician Adam Yauch. 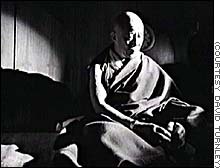 Ford's wife, Melissa Mathison, wrote the screenplay for "Kundun," one of two feature-length films about the Dalai Lama released within months of each other in 1997. The other was "Seven Years in Tibet." The Dalai Lama was born Lhamo Thondup (sometimes spelled Dhondup) in 1935 in Takster, a village in northeastern Tibet. The fourth son and fifth child of peasant farmers, he was discovered in 1937 by a government search party guided by visions, oracles and omens that in Tibetan Buddhist tradition are used to locate the next Dalai Lama. Shown a number of objects, the boy correctly identified several that had belonged to the previous Dalai Lama, saying, "It's mine, it's mine." An earthy man with a hearty laugh and a ready sense of humor, the Dalai Lama told Turnley that he did not remember the search party or the tests he passed. His first memory, he said, was of using the village's communal toilet. "In middle of my sort of 'engagement,'" he says in self-taught English, "one big camel approaching and I run away. I think most probably my heavy work ... I think not yet finished." He throws his heads back and laughs heartily, eyes nearly shut, his body shaking, his index finger pointed at the ceiling. "That I remember very clearly." The toddler was taken to the holy city of Lhasa to begin his training. 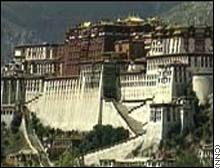 His family, which also moved to Lhasa and received money and gifts, visited him occasionally in the 1,000-room Potala Palace. In February 1940, five months shy of his fifth birthday, he was renamed Jetsun Jamphel Ngawang Lobsang Yeshe Tenzin Gyatso -- Holy Lord, Gentle Glory, Compassionate Defender of the Faith and Ocean of Wisdom -- and installed on the Lion Throne as the 14th Dalai Lama. He is also known as His Holiness, Yeshe Norbu ("Wish-Fulfilling Gem") and Kundun ("the Presence"). It was not an easy existence. The boy often watched other children from the palace, feeling isolated and alone. He played games with the palace sweepers, sometimes crying when he lost, and was fascinated by mechanical objects. He learned to take apart and put together clocks, and still admits to a passion for collecting wristwatches. To the consternation of his guardians, he also repaired cars, and crashed one of them after sneaking it out for a joyride. From the experience, the young monk learned a fundamental automotive principle: to function properly, a vehicle must have brakes that work. In 1950, the Chinese army entered Tibet, claiming to "liberate" it from imperialism and religion. Those governing Tibet until the Dalai Lama reached 18 decided to install him immediately as the country's temporal leader even though he was only 15. For the next nine years, the Dalai Lama did his best to accommodate the Chinese and keep Tibetans out of harm's way. But Mao brushed aside any hope of a reconciliation when they met in Beijing. "Religion," he told the Dalai Lama, "is poison." The Chinese have tried repeatedly to discredit the Dalai Lama and erase any sign of him in Tibet but do not appear to have dampened his people's ardor. 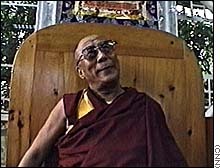 Turnley filmed a talk given by the Dalai Lama in a crowded meeting room at the monastery in Dharamsala. Dozens of crimson-robed monks knelt on one side of the room, heads near the floor, peering up at their leader. Tibetan refugees recently escaped from Tibet comprised the rest of the audience, many of them in their best clothes, many of them weeping. "It has been an extremely difficult time for Tibetans," he told them. "Even so, in these difficult times, you must not lose hope. Never lose faith in the truth. In the end, everything will be all right." Later, as he greeted them individually, some were overcome with emotion and sagged to the floor. 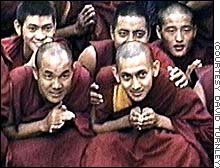 In another scene, a young monk who had traveled a great distance to see the Dalai Lama wept copiously upon meeting him. 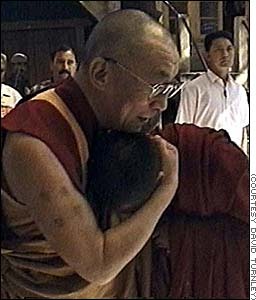 The Dalai Lama pulled the boy's head to his chest and patted him, saying, "There, there." Later, as the monk kneeled at his side, the holy man rubbed first the boy's ear and then his head as if he were a favored nephew. "This is very common," says Tethong. "Ordinary people look up to him with tremendous hope and inspiration, expectation and reverence. When they come face to face with him, there is huge emotion, and he tries to respond to that. "He is extremely giving. He is always trying to do things that benefit Tibetans in a real way, whether it's rebuilding monasteries, starting schools or providing housing or health care. And that can translate into a very powerful exchange." Robert A.F. Thurman, professor of Indo-Tibetan Studies at Columbia University, has known the Dalai Lama for nearly 40 years, and describes him as "a man of intelligence and great charm." 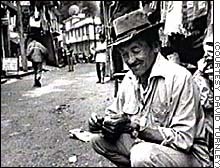 And, says Thurman, the Dalai Lama often teases Tibetans about their reverence for him. "He tells them, 'You really love me because I represent freedom to you, and you never had to take orders from me, so I haven't made unpopular decisions.'" The "Ocean of Wisdom" is a chunky man with close-cropped dark hair and thick eyeglasses. He wears dark socks and brown leather shoes beneath his crimson robes, and is said to be as straightforward and sensible as his footwear. He has democratized the government-in-exile and has even suggested the Dalai Lama, like the pope, should be an elected position -- something Tethong thinks is unlikely. "It will depend on how the Tibetan people react," he says. "So far, they believe it's a successful and very useful institution for Tibet. And since there has been a string of very good ones, there's no compelling reason to change." 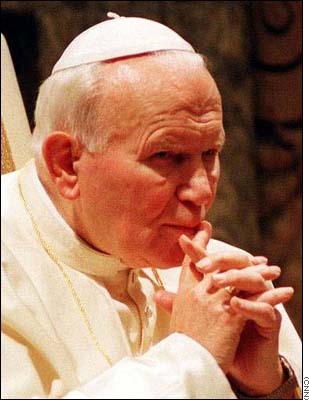 It would seem difficult, indeed, to dismiss a man whose reaction to the reverence and respect he inspires is humility. "I have a burden," he told Turnley. "I have to check myself. The more people praise you, there is a danger of developing arrogance." He also dismisses the notion that he is a god-king. "Some consider me as a living Buddha," he said. "That's nonsense. That's silly. That's wrong." If they consider him a simple Buddhist monk, however, "that's probably OK."
Rinchen Dharlo, president of the Tibet Fund and another former aide, recalls that the Dalai Lama was traveling in the United States when he won the Nobel Peace Prize. The media, including Diane Sawyer, clamored for interviews, but the Dalai Lama refused to clear his schedule to accommodate them. "He said it was good to have the media interested," Dharlo recalls, "but whether the people he was to meet were important or not he really didn't think it was right to cancel meetings with them." When the Dalai Lama spoke at a small university in Findlay, Ohio, a journalist asked why he would go to a small, out-of-the-way place when Nelson Mandela visited Atlanta, Washington and New York. "I said, well, if he thinks by accepting the visit that people would benefit, he accepts it," says Dharlo. "And if he thinks they're not going to benefit, he won't accept it even if the invitation comes from Harvard or Yale." In 1995, the Dalai Lama attended a conference of new democracies in Nicaragua. Although the meetings always started late, the Dalai Lama insisted on arriving at each session on time. "He said, 'If others are late, that is their freedom,'" Dharlo says, "'but we shouldn't be late because others are not on time.' So we were always on time." Like Pope John Paul II, with whom he shares many similarities, the Dalai Lama is a savvy, modern man whose charm lies in the way he accepts the world while keeping it at arm's length. Unlike the pope, however, he has no interest in making converts. "He is adamantly against proselytizing," says Thurman. "He says don't be a Buddhist, be a Christian or a Jew or a Muslim, however you were brought up. Use Buddhist meditation, but keep it within the framework of your original faith." When traveling, the Dalai Lama always schedules interfaith services with other religious leaders. He also likes to meet with scientists. "He's always exploring and trying to learn the ultimate truth about human existence, how the universe came about, and sharing Buddhist ideas about the nature of reality," says Tethong. "And sometimes they're not too different from physicists' ideas about such phenomena." Although he claims to be "hopeless" when it comes to computers, the Dalai Lama is conversant enough to say, "I am a screen-saver for computers." The comment also indicates the Dalai Lama knows he is marketed as a product in the name of Tibetan civil rights. His day begins at 3:30 a.m. with meditation and prayers and often ends watching wildlife shows on television. When younger, he was partial to John Wayne films, curious taste for a man devoted to nonviolence. And after decades of listening to BBC news, he agreed to sing its World Service theme for a BBC TV commercial. An ardent gardener and environmentalist, the Dalai Lama occasionally uses an exercise bicycle and is said to be a brisk walker. Turnley asked him if he dances or listens to music -- he does neither -- and if he had ever seen Muhammad Ali box. His Holiness smiled: "Especially the way he shuffles his feet? Quite grace." Observers often remark on his deep, resonant laughter and his earthy sense of humor. "People are too serious," he told Asiaweek. "All the time, too serious." "He has a great laugh and a great sense of humor, and it's infectious," says Thurman. "His laugh used to be high and nervous when he was younger and less realized in his spiritual practice. It had a nervous tension in it. "But in the last 20 years, he's had a really hearty laugh. He's a person at peace with himself. There's a lot of pressure on him, but internally he's relaxed. He's a healthy person, really." Thurman believes that the Dalai Lama, now 64, could emerge in the next century "as a helpful person on the world stage. He's become a kind of linchpin of hope for a great many people." The Dalai Lama has said that what he would really like to do is leave the world behind and go off to meditate and live as the simple monk he has always insisted he is. But his first order of business is the resolution of Tibet's status. He has suggested that Tibet become a truly autonomous, self-governing part of China. In that case, he says, he would be content to leave governance to others and serve only as its spiritual leader. Chinese President Jiang Zemin has said he would discuss Tibet with the Dalai Lama, but many doubt that China will loosen its grasp on a country from which it takes timber, minerals and herbs, and in which it has invested a considerable amount of money over the past four decades. 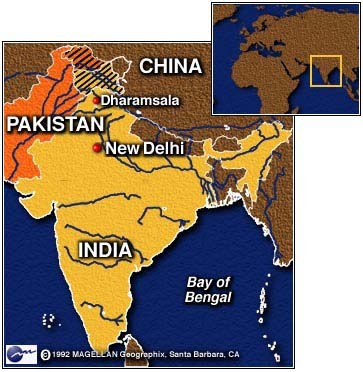 Nevertheless, the Dalai Lama believes he will see Tibet again. "I will return to a free Tibet, and my people also," he told Asiaweek. "Yes, I have strong feelings on that."